Web20Classroom is the preeminent education and technology consulting group. Experts Steven W. Anderson and Shaelynn Farnsworth have helped thousands of educators from across the globe develop strong literacy skills, understand the effective use of technology, evaluate program efficacy, differentiate more and struggle less. Partner with us today to achieve your goals and help everyone be more awesome today! Shaelynn Farnsworth is a phenomenal presenter and facilitator! She teaches engaging strategies to be used in any literacy classroom fused with technology to make lessons authentic and personalized to the students. Every session I spend with Shaelynn I take away so many ideas to implement in my classroom. 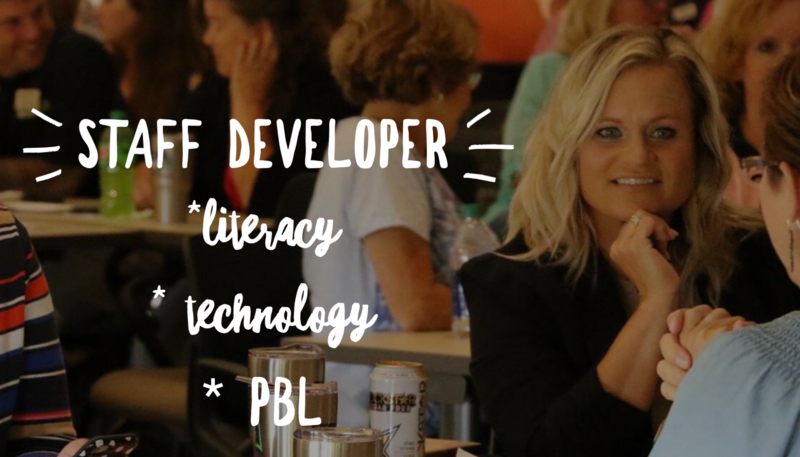 She is high-energy, passionate about her classes, and knowledgeable on all things literacy and technology. I traveled hours to be a part of her innovative classes and appreciate her willingness to answer any questions I have even after the classes are completed. If you have NOT been to one of her classes or sessions what are you waiting for? – Rebbeca R.
Shaelynn is a very compassionate and passionate instructor who has the best interest of students and teachers in mind. She is very open to questions and sharing information. – Anne B. Excellent communicator and one of the best instructors! – Tina B.
Ms. Farnsworth was an amazing instructor who was able to communicate and educate a class with a wide variety of skill levels. – Jim S.
Bravo! Love to see people achieve their dreams.